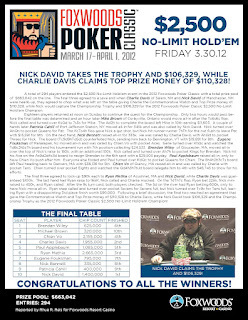 Nick David is Champion of the 2012 FPC Main Event! Once heads-up play started, Nick David and Charlie Davis came to an agreement on a chop. 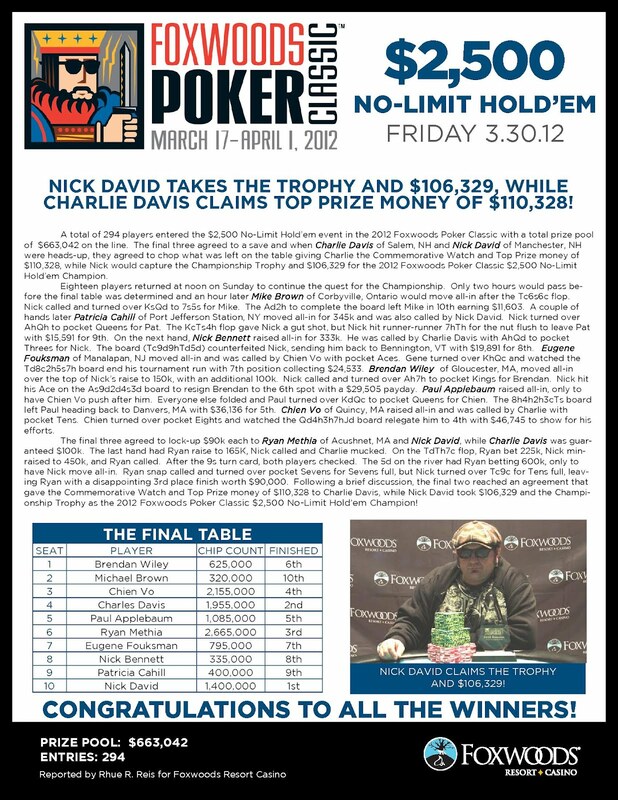 Nick David is officially the Champion of the 2012 Foxwoods Poker Classic Main Event. Nick David gets $106,329 and the Foxwoods Poker Classic Trophy while Charlie Davis takes home $110,328 plus the watch. Congratulations and thanks to everyone who participated in the 2012 Foxwoods Poker Classsic!